The investigations of the Kaptol Castle, the one-time eminent capitulum ecclesiae sancti Petri de Posega, that is, the Collegiate Chapter of Saint Peter, founded between 1223 and 1230, most likely by the Pécs Bishopric with the consent of the Holy See, were carried out in collaboration with the Conservation Department in Požega and the Požega Municipal Museum. The fortification is a Late Gothic-Renaissance hexagonal castle with round semi-towers and a rectangular entrance tower. 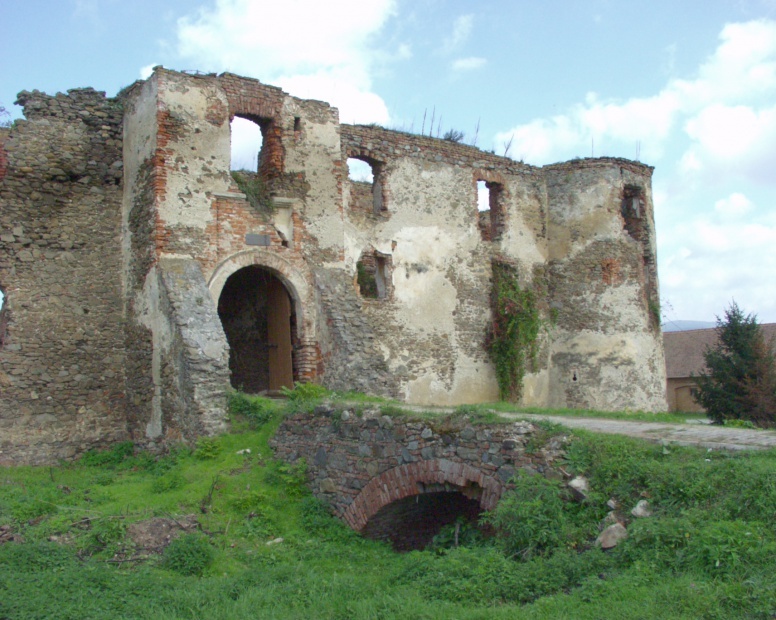 The western walls of the fortification, as well as the north-western tower, were destroyed during the construction of the Baroque church of St. George. The fortification is situated on an elevated plateau and surrounded by a moat, once filled with water. It can be described as a typical 15-16th century Wasserburg and represents one of the best-preserved fortifications of pre-Ottoman Slavonia. Based on the stylistic features (the influence of Bohemian Late Gothic architecture with indications of the Renaissance) and built-in spolia that correspond to the so-called Rejt’s school, the fortification is attributed to the first half of the 16th century. Ladislav Szörenyi, a bishop of Syrmia, reconstructed the fortification in 1752 and built a new church of St. George in its interior. At that time, the western walls and the north-western tower of the fortification were destroyed. At the beginning of the 19th century, when the Kaptol estate became the property of the Chapter of Đakovo, St. George’s church was no longer used for religious purposes and became a granary. Life in the Kaptol fortification continued until 1943, when its residential segment was destroyed by fire and the site was abandoned completely. 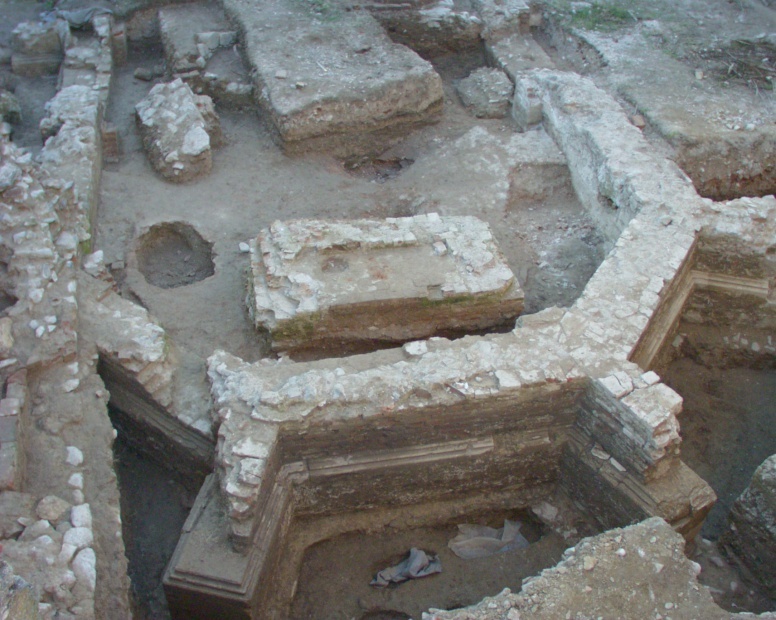 A part of the layout of a Gothic hall church was discovered inside the walls of the Renaissance fort. In addition to mediaeval structures and layers, the investigations yielded also a number of recent, modern-period and Baroque layers and structures. The research focused on the space east of the sanctuary, as well as west in the interior of the church. 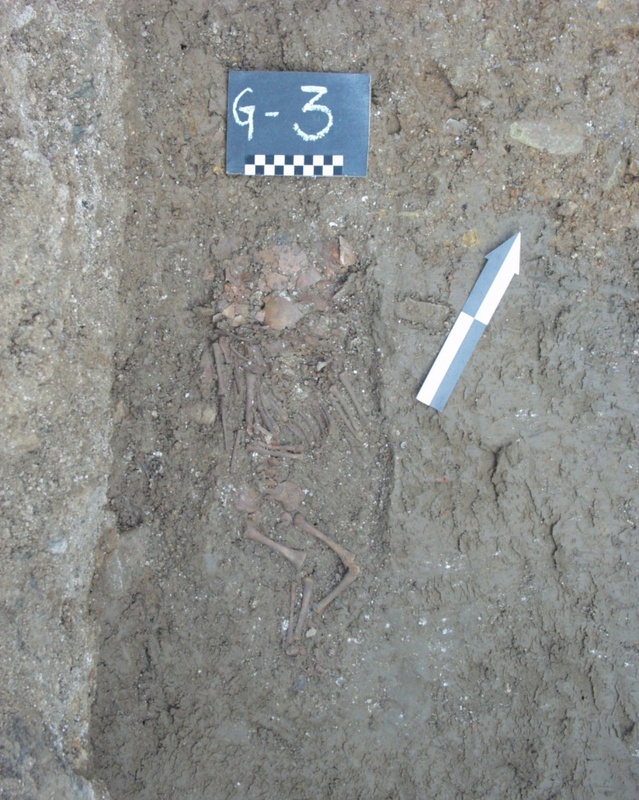 Beyond the layout of the church, the investigated graves lying adjacent to the northern walls of the sanctuary belonged exclusively to small children, newborns and infants. A number of profiled, finely-dressed Gothic stone blocks were discovered during the investigations. Gulin, A. 2001, Hrvatski srednjovjekovni kaptoli, Loca credibilia sjeverne i središnje Hrvatske, Zagreb. Horvat, Z. 1991, O nekim starim građevinama Kaptola, Kaptol 1221 - 1991, Mjesna zajednica Kaptol, Kaptol, 95–108. Tkalčec, T., Krznar, S., Kaptol, u: Dnevnik jednog arheologa. Prof. dr. sc. Željku Tomičiću uz 70. rođendan, Buzov, M.; Ložnjak Dizdar, D. (ur. ), Zagreb 2013., 65–68.